Congratulations to Autumns Canon, this years winner of the LiVE 88.5 Big Money Shot contest and $150,000 in talent and development support. Also winning $75,000 each were The Balconies and My Favourite Tragedy. 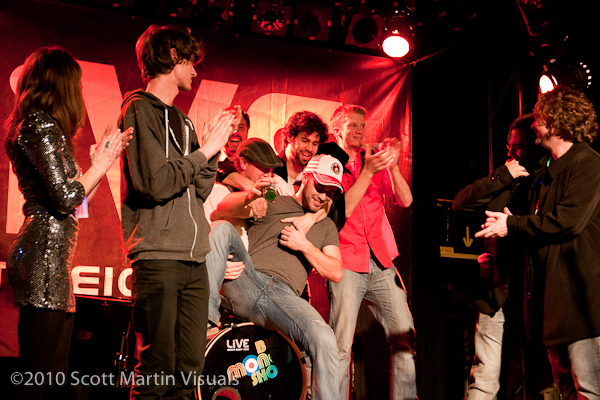 The finals are one of the biggest nights of the year for Ottawa’s local music scene. As always, it was an entertaining night of music. Check back for photographs from the performances of all 5 bands this coming week. Posted on November 20, 2010 November 2, 2013 by Scott. This entry was posted in Music and tagged Big Money Shot. Bookmark the permalink. Thanks Greg. Good to meet you. I look forward to checking out your photographs.